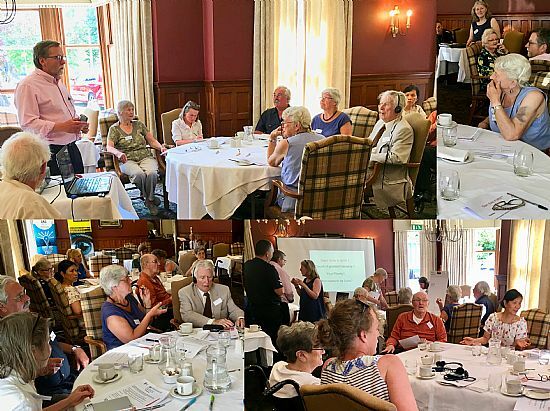 Scottish Older People's Assembly & Highland Senior Citizens Network jointly invited older people in Dingwall to have their say on issues important to them. 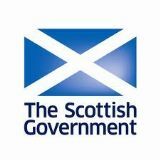 Presentations by HSCN's Dr Ian McNamara, SOPA's Chair Tom Berney and the Community Planning Partnership, were followed by discussions which included the lack of Broadband, access to supermarkets, integrated transport, discrimination and lack of information about social security benefits. 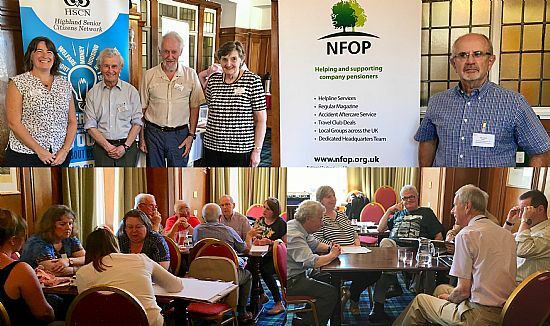 Following a tasty lunch and a dash to Nairn, the SOPA team with the HSCN met 28 people to have a similar discussion about priority concerns. Jo Cowan presided and presentations were given by local Community Planning Partnership. Chair, Chief Inspector Brian MacKay and Simon Noble provided information on local community transport developments. Nairn’s priority concerns were no access to Broadband, low status of care workers, lack of information on care and opportunities, lack of suitable housing and the impact of austerity measures.